I’ve written from time to time about incorporating themes into stories, but I realized recently that most of my posts on the subject have been an apologetic–explaining the legitimacy, even the necessity of putting themes into stories intentionally. One of my repeated cries has been the need for authors to weave their theme naturally into the fabric of the story rather than tacking it on as an after thought or neglecting it completely in the belief that what the author holds to be dear is bound to seep through somewhere, somehow. The natural question that arises, however is, how does a writer go about weaving a theme into the story? There are several ways that come to mind. One is to use symbols. 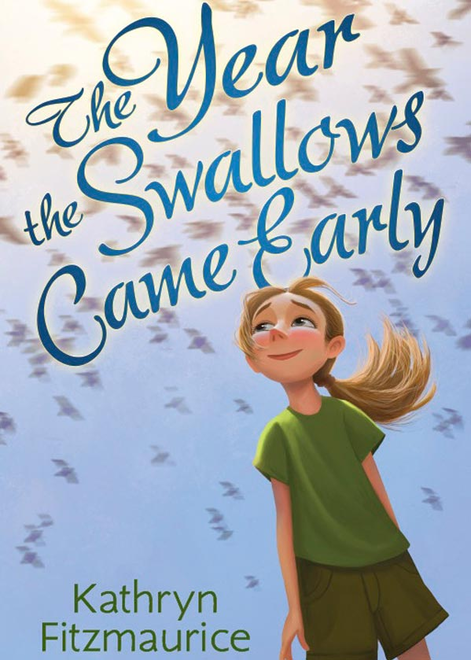 In the article “Symbolism, Part 5 – Final Thoughts”, I used the debut middle grade novel by Kathryn Fitzmaurice, The Year The Swallows Came Early, as an example of the use of symbols. Throughout candy, particularly chocolate which hides what’s underneath, symbolizes how people appear on the outside, with the candy filling showing the way things are on the inside. And that our house was like one of those See’s candies with beautiful swirled chocolate on the outside, but sometimes hiding coconut flakes on the inside, all gritty and hard, like undercooked white rice. Because even though he’d picked that chocolate by pure chance, it just so happened that when I bit into it, I tasted soft easy-going caramel, and no coconut flakes. A second way to weave a theme into a story is to show character development. Often times the events of a story have an impact on the protagonist, to the point that she changes in some significant way. The story may not continue on for the reader to see the change played out, but the character should take some action that demonstrates a new outlook or a change in commitment. Whatever has caused the change in the character is the key to the theme. 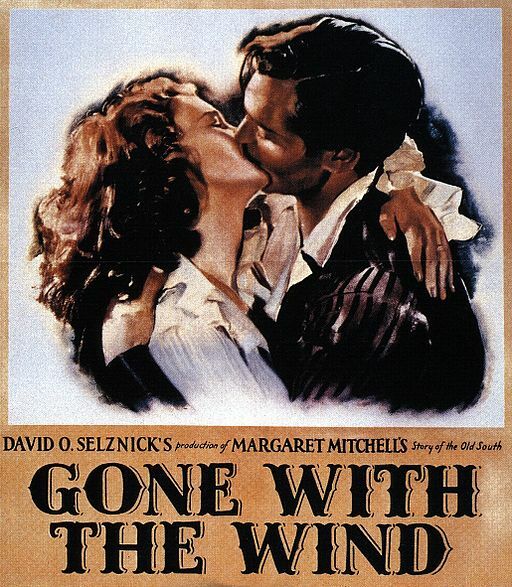 One of the saddest stories, I believe, is Gone with the Wind. The main character, Scarlet, lives for years with the delusion that she is in love with a man who married someone else. Through all the pain and suffering of the civil war and the recovery she experienced, doing (and marrying) all she could to stay alive and keep her household together, Scarlet ended up alone because she killed the love of the one person still alive who knew her and had loved her anyway. She woke up to reality too late. But her character development, her ability to finally see her relationships as they really were, comes through all the more poignantly and leaves an indelible impression on the reader, even as Scarlet repeats her mantra and prepares to return to her family estate, the one love to which she has been faithful. A third way to build a theme into a story is to pit the worldview of the protagonist with the worldview of the antagonist and show in the end which of those two competing outlooks is the most desirable. In some cases the outlook that wins is clearly the most desirable, but in some stories the one that loses is shown to be the most noble, the most appealing. These stories are infrequent, and yet they exist. One such was an old movie I saw on TV, I think called Remember the Alamo. In the end, as it happened in real life, all the soldiers defending the Alamo died, but the movie showed their deaths to be noble, even heroic. Consequently, though they lost their lives, their worldview still “won” in that story. Braveheart is another such movie as is Camelot. In the former, the protagonist is sentenced to death but shouts “Freedom” before his beheading. Those who continue the fight do so in his memory. He lost, but his worldview won. The latter is similar. King Arthur’s round table is broken apart, his desire for a unified England in tatters, but a young boy shows him that the ideal will live on after him. The worldview he fought for, believed in, wins, even though he doesn’t. Other stories show the triumph of the protagonist over the antagonist which validates his worldview. The Harry Potter series shows this kind of victory. Though for a time all seems lost, in the end, the protagonist makes the last great sacrifice and brings victory. His way of viewing the world wins, validating in the mind of the reader that grasping for power and ruling as a demigod is not the right way to live, while sacrifice and service and friendship and love are stronger in the end. Symbolism, character development, a winning worldview all serve to embed a theme into a story. You might have other ways. If so, I’d love to hear your ideas. Writers say something. Whether that something is trivial and mundane or significant and profound depends on how unafraid they are. Yes, unafraid. Many writers are afraid they will limit the scope of their book if they place their story firmly in a particular economic or political or religious milieu. They’re afraid if they take sides in a controversial question, they’ll make enemies and lose readers. Just this week another writer related on an email the gist of a discussion elsewhere regarding the inclusion of particular evangelical Christian denominations and their practices in works of fiction. 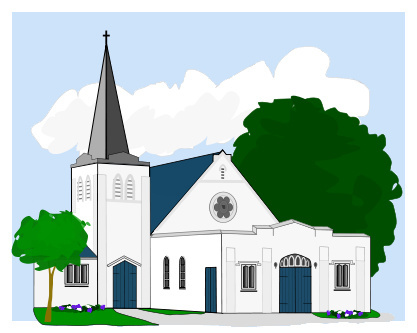 This writer argued against generic “community churches” and in favor of the First Presbyterian Church or Grace Lutheran or Diamond Bar Baptist. In other words, she advocated including specific churches with peculiar doctrines. The individual taking the opposite position made a case for widening the audience for a book by painting generic evangelical elements rather than specific ones. The fear of dating a novel scares off some authors from creating the kind of particular atmosphere that makes a story feel as if it’s anchored in reality. However, stories like The Grapes of Wrath by John Steinbeck bring alive a time and culture through which the author can then say something important and universal. The mysteries of existence are also often avoided in manuscripts. Do you believe in destiny? Do you believe in God? Are our lives random or do they have a purpose? Do you think about these things? Of course you do . . . What about your protagonist? What’s her take on the big questions? Is it pretentious to include them? A good many writers are afraid of answering these kinds of questions, thinking that by doing so they’ll come across as preachy–the death knell to fiction, especially Christian fiction. Having something to say does not equate with preachy writing. 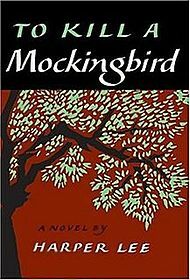 Harper Lee had some specific things to say about prejudice, but I’ve never heard anyone claim To Kill A Mockingbird was preachy. That’s because Ms. Lee didn’t explain what she had to say: she showed it through her characters. She didn’t have one of them sum up the meaning of all the events or spell out the ethical implications of why they did what they chose to do. Rather, she created believable people who lived in a specific time with a certain set of problems, and she showed one man and his daughter who lived in contradiction to the societal norm. Clearly she tackled her subject unafraid, even in the racially charged era of the pre-Civil Rights movement, and the result was a classic story with timeless truths, still being read and studied fifty years later. Oh, and that author opposed to specific evangelical Christian denominations in fiction? It turns out each of her books is set in the Amish community–quite particular, very unique, and yet apparently a fertile field for stories that speak to readers today. Once again a novelist, a person I respect, said in essence that intentionally incorporating a theme in fiction makes the story preachy. This position, while widely held by Christian authors, is far from the truth. Anyone who can remember back to high school or college literature classes knows this. 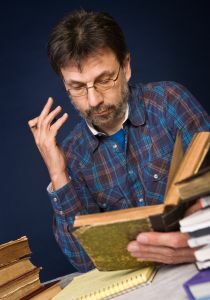 The classics we studied in those days, and that many students still study, are far from preachy, yet one of the points of analysis teachers emphasized was what the author was saying in the story — his theme. In truth, theme does not equal preachy. It never has. However, a poorly crafted theme might indeed come across as preachy. The way to eliminate a poorly crafted theme, of course, is not to eliminate theme, yet that’s what many writers seem to advocate. Some, of course, suggest that the theme will naturally form itself because the author has deeply held beliefs. By that reasoning, then, there is no need to carefully craft our characters since the author himself is a person, and there is no need to craft the plot since the author himself lives life. Perhaps most inconsistent in this movement to downplay theme is the idea that it is right, even necessary, to carefully craft each sentence so that the prose sparkles, but not necessary to craft the ultimate meaning behind each sentence that gives the story significance. I remember struggling with this in my writing. Shortly after one of the Lord of the Rings movies released, a group of self-proclaimed pagans gathered in England for the celebration of a pagan rite, and they referenced J. R. R. Tolkien as their hero and Middle Earth as their hope. Since I write epic fantasy, I tried to imagine what it would feel like to have my writing so thoroughly misunderstood and misused as these people were doing to Tolkien’s work. Wouldn’t it be better to spell things out and to eliminate any doubt about what the author means? Actually not. Fiction isn’t about the author. It’s about the characters. As soon as the author intrudes, he pulls down the curtain, and the reader is no longer lost in the pretend of the play. Instead, he might well feel as if he’s been manipulated into listening to the equivalent of a commercial, when he thought he was getting an ad-free story. Consequently, the author, rather than making his point and having his reader think deeply, has lost the reader who may also vehemently reject the point out of hand. In short, a writer committed to saying something important in her fiction must do so with intention, weaving the meaning into the fabric of the story. What happens to the characters and how they grow or change ought to tell the reader far more than what the author states plainly. Symbols sprinkled throughout can reinforce the main point, and will add artistic flare that make the story far deeper. But just as a magician doesn’t reveal how he performed his tricks at the end of his show, an author shouldn’t tip his hand at any time and explain what the story was all about. Will some readers misunderstand? Possibly so, but even if this is the case, they will think a great deal more about the theme than if the author intercedes to tell them what they should think. After all, no author can force a reader to believe as she believes. It’s really up to the author to paint the picture with words, then trust the reader to get it. To come full circle, no reader will get a theme that’s not there, so an author first needs to give attention to what precisely he wants to say through the vehicle of story. He needs to weave it well into the story, then trust the reader to make sense of what he has read. From time to time I read on different writers’ sites that the main thing a novel should accomplish is to entertain. The main thing? I don’t agree. Think about it. Dirty jokes are entertaining. Is that as high as a fiction writer should aim? A Christian fiction writer? Don’t get me wrong. I believe stories should entertain. If they don’t, few people will read them. But I think entertainment is not the function of fiction. I think communication is the function of fiction. That Christian fiction has been labeled as “preachy” by many tends to scare off writers from trying to say something important through story, but I think it should instead scare us into learning how to say what we want to say in an engaging way that uses story rather than fights against it. As I see it, this approach is similar to the approach God wants believers to take in all of life. My real point and purpose for existing is to give God glory. But what does that look like? 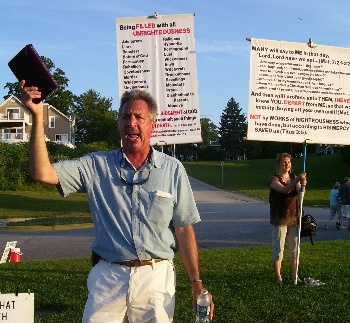 If I go out to the busy intersection a couple blocks away and start shouting out truths about God, will that glorify Him? Maybe. I tend to think, however, that a more effective way is to love those God puts in my everyday path. The harried mom I might run into at a soccer game. A distraught co-worker who found out his wife has cancer. A disabled gentleman I might sit next to in church. There are lots of people God puts in front of me, and when I give them a cup of cold water, the act is as if I am giving that kindness to Christ. Does this not glorify God? But back to writing—it’s a unique profession. Writers have the privilege of telling others what we think by putting words down for people to read at their leisure. Two things, I think, make writing compelling. First, if the writer has something important to say. Second, if he says it in an interesting way. Some people don’t think Christians have anything important to say. Is that true? 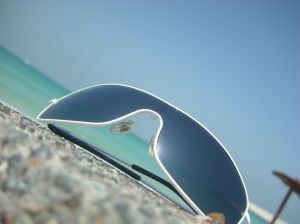 Do we see the world through our $200 designer sunglasses instead of looking wide-eyed at the stark realities the rest of the world sees? You might be surprised to learn that I do believe Christians have encumbered vision—we see through a glass darkly. The problem is, all those wide-eyed others are actually blind, seeing without seeing, knowing without understanding. Enter the Christian writer. We have the chance to write about life in a way that opens up reality. We are not limited to the mundane or to the impoverished human coping strategies when we stare in the face of our damaged world. We have more to say than the unbelieving, not less. Unless, of course, we only aim to entertain. Reposted from A Christian Worldview of Fiction, August 17, 2010.